What is social learning and how can it revamp your learning and development function? In our latest podcast in association with the City & Guilds Group, we speak to Kineo's head of consulting Jez Anderson and head of learning design James Cory Wright. 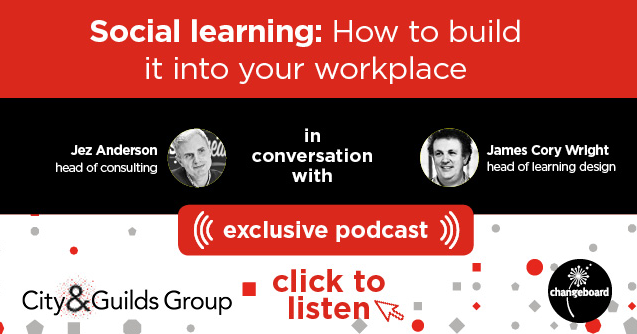 They explain how social learning - the idea that we learn best collaboratively and by sharing - can be adapted to the 21st century workplace; the impact social media has on learning; and why we need to give control of learning back to our employees. Sign up for this podcast now.